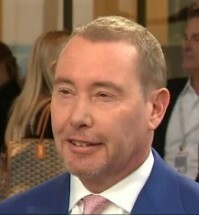 On CNBC today, recently proclaimed bond king Jeffrey Gundlach, CEO and CIO of Doubleline, provided his latest views on the markets to host Scott Wapner (see video below – Gundlach enters at the 5:00 mark). Wapner reviewed Gundlach’s previous erroneous remarks where he believed rates would be easing. 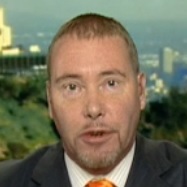 Gundlach proceeded to defend his record indicating they had captured 70% of the rate rise correctly. Gundlach said investors, as opposed to last year, currently don’t care about income, but are gravitating towards volatility. Gundlach believes the Fed will taper, which could lead to a “flush” higher in interest rates. This will portend higher volatility in the equities markets because the safety net will be gone, in Gundlach’s view. Gundlach compared the recent interest rate rise to the similar experience in 1994. According to Gundlach there is plenty of yield in the bond market; it’s just not in Treasuries. “I’m talking about closed-end bond funds, I’m talking about mortgage REITS, these things that are trading at 10% discounts to their underlying bonds, or in the case of mortgage REITS – more than 10% discounts to their underlying book values,” Gundlach added. “It’s not that hard to put together a portfolio that yields 8% using a basket of these types of vehicles,” Gundlach proclaimed. “Nobody wants to buy them because of the sentiment and fear and loathing,” Gundlach added. Gundlach subsequently mentioned Annaly Capital Management, Inc. (NLY). One signal, which isn’t there, that would indicate an end to the rise in interest rates would be a shift in sentiment, Gundlach stated. Gundlach said investors should begin accumulating (the high interest vehicles) as he believes the 10-year Treasury could top out at 3.1%, or so. Back in early January, Gundlach gave his expectations for asset class returns in 2013 including a prediction that Japanese equities would appreciate by 20% [link]. Beware! Reaching for yield can result in severe capital losses. Just ask those who did so in 2007. 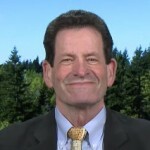 In an environment of rising interest rates this investment strategy is perilous.